The Peninsula globe by Waypoint Geographic features an up-to-date antique ocean globe with bronze color finished metal and numbered meridian. What sets Waypoint maps apart from others is the level of ocean detail within the cartography, showing off many ocean floor features not shown or identified on most globes. The political boundaries and named places contained on the globe are current and updated with each production cycle, ensuring you receive the most updated product. 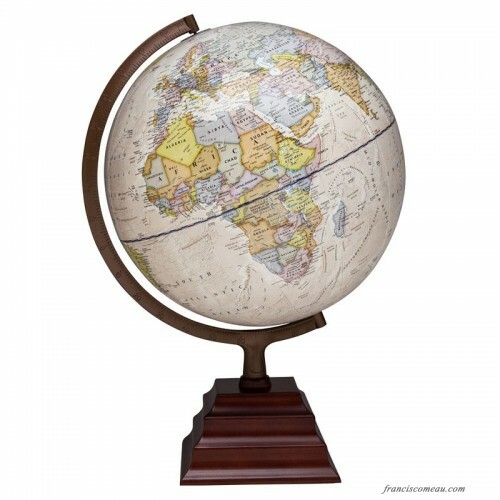 The pagoda style wood base compliments the globe which can be used for reference and decor for the home or office.